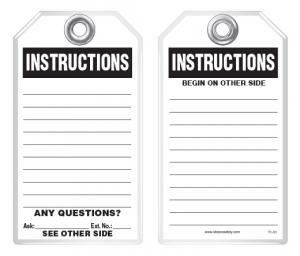 Home » IDESCO Safety Blog » Safety Signs » How Do I Improve Facility Safety with Proper Security Signage? 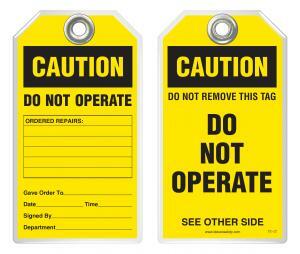 How Do I Improve Facility Safety with Proper Security Signage? When launching a business, you want to make sure your customers know you take their safety and security seriously. Especially after the past few year's Pulse Nightclub shooting, London Bridge violence and San Bernadino workplace bloodshed, the increase of violence has people on edge. When walking onto my daughter's school campus, I now take note of signs indicating I need to sign in at the office, and I sleep more soundly knowing safety procedures are in place. Just last weekend, my family and I visited the US National Whitewater Center, and our visit was smooth, should I even dare to say - it flowed well (pun intended) because of the signage. We knew where to go, that weapons of any kind were not allowed (and they checked bags too), but unlike our recent theatre experience, cameras and cell phones were permitted, even encouraged if they were waterproof! If you know anything about this facility, it's massive and sprawls over hundreds of acres, but with OSHA-compliant signage, I felt safe with my toddler and preschooler in tow. They posted - "Area slippery. Do not let children play or dogs drink here." You can't get more explicit than that! They chose to customize their sign for their customers. Since it's quite a dog-friendly facility, I appreciated them remembering our four-legged child. Sometimes wordsmithing can be tricky. Fortunately, for school districts, business owners, theatre companies, you name it, Idesco Safety Workplace Essentials has every type of OSHA-compliant security sign to meet any institution's need, and the best part - signs have a Lamikote finish to ensure they are graffiti and tamper resistant. No one will be able to vandalize these security signs once created. 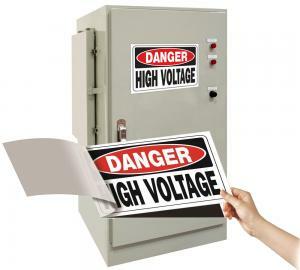 As you are undoubtedly already aware, OSHA requirements are lengthy. 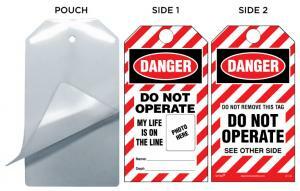 If you want to be assured about the size, types of safety signs, lettering requirements, and classifications of varying degrees of danger, take a look at the variety of Idesco's security signage. 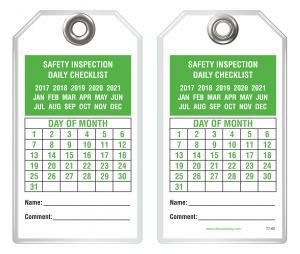 Idesco knows the OSHA handbook by heart and has the correct sign for you with appropriate visual cues and colors and properly worded reminders for your visitors or employees. 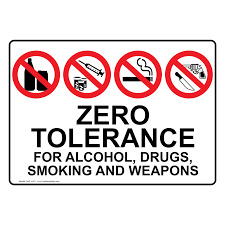 With increasing school and workplace violence, posting regulations and expectations to remind employees, students and visitors of the surveillance, weapon and drug free zones you are creating with their safety as your institution's utmost concern is imperative. 1. What hours will my sign need to be visible? If people need to see your sign after dark, you probably want to get a glow-in-the-dark sign, so no one needs to pull out his or her phone just to read it. 2. Will people reading my sign primarily speak another language? If so, you may want to consider a bilingual sign. Idesco has these available and already designed for you. 3. Do I need my sign to be a reminder or a warning? This will help you narrow down what categories to look under when you're perusing www.IdescoSafety.com.